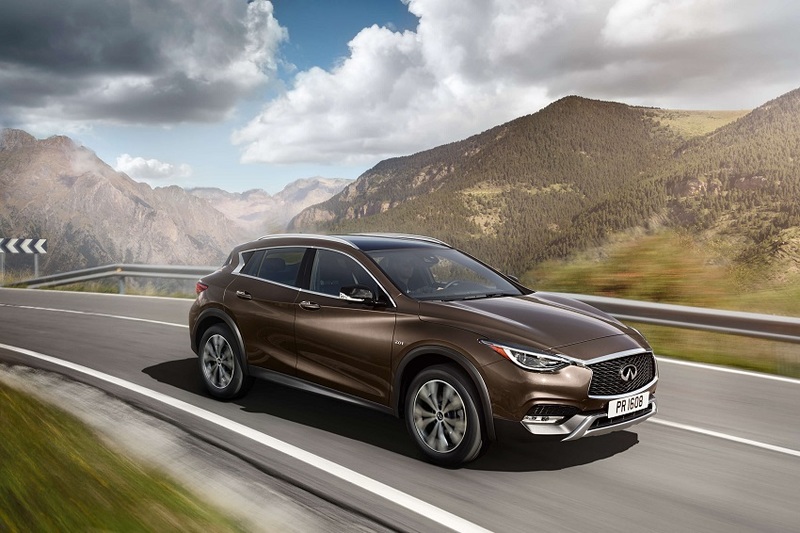 The new Infiniti QX30 diesel Sports Utility Vehicle is a small family car that is essentially a more robust version of the Q30. It’s also been given stilts as Infiniti enter a highly lucrative and competitive market for the first time. The style of the car might not be to your tastes (it certainly won’t be to everyone’s), but you only need to cast a glance at the Nissan Juke to remind yourself that unconventional looks sell really well in this class. 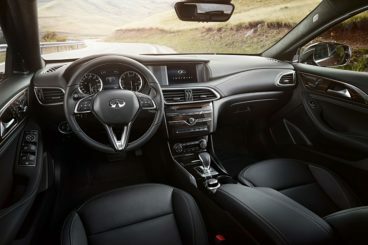 What is a shame, however, is that Infiniti haven’t transferred the ambitious exterior styling to the interior, where things are a bit plainer. Still, this car is smooth on even rougher roads and comes with bags of standard equipment. It’s also the best car this brand has made so far. OSV takes a closer look at what it’s all about with our Infiniti QX30 diesel SUV review. Although its road manners are largely uninspiring, the car is at least responsive and engages well on the road. It’s taller than the Q30, but does well to resist body lean. There is also plenty of grip on offer, thanks to four-wheel-drive and clunky tyres and wheels. It’s also more pleasurable to drive than, say, a Mercedes GLA. Unfortunately, the engine is where things fall apart. Only one engine is available, a turbocharged four-pot 2.2-litre diesel unit is capable of developing 168bhp, but it never feels as smooth as you’d like. Indeed, at idle it actually sounds fairly industrial, and even when you increase the engine rev’s, it’s never particularly rewarding. A petrol engine would have been a smart addition to the line-up, but as it is you’re stuck with this diesel that doesn’t offer you anything in return when you work it hard. It’s basically a source of motivation but nothing else. However, the numbers are quite impressive, and the engine can get you from rest to 62mph in 8.5 seconds. As you can see, it’s not exactly a unit lacking in power when power is needed. It also works well with a 7-speed automatic transmission, which maximises the unit’s low-down pulling power. If you push the QX30 hard, the ‘box works its way up the gears and makes solid progress without any hassle. No hassle – but also no excitement. At worse, the exterior styling is unorthodox, but at best it’s unique. The sweeping contours are unlike anything else out on the road today. But as creatively ambitious and impressive as the exterior is, it’s as though the design team used up all their ideas and energy before they got to work on the interior. While the exterior flourishes with unashamed daringness, the interior plays it safe. Although the styling is disappointing, the interior does at least benefit from some top-notch switchgear which serves to justify the price tag. Plenty of the features are shared with the Mercedes GLA, including the operating controls for the infotainment system, the electric windows and a few other minor knobs. This results in a solid cabin that even feels a bit luxurious – just not very interesting. The seats are comfortable enough, and the front seats are adjustable and even heated. The fact that the car is taller than the Q30 results in more headroom, and it’s also improved ride quality. As such, crashing over road imperfections won’t impact on your comfort too much, as even our worst road surfaces are well cushioned. Hit a pot hole, though, and you will know about it. The extra height also, of course, means more visibility. As well as have practical value, more visibility also means you feel less claustrophobic. Headroom in the back is not as good as it is in the front, while the windows are a tad too small for our liking. You can opt for darker interior colours, but this might ruin the experience for rear seat passengers. For an SUV, interior space is at a premium. The boot is measured at 430-litres which isn’t bad, but it’s far from being class leading. It also can’t compete with the 480-litre boot in the Mercedes GLA, which is odd when you consider that both cars share so many parts. Moreover, it’s not the most usable boot around, and will struggle to cope with the kind of bulky loads an SUV is more accustomed to. Compare it to small premium hatchbacks, though, and the boot is pleasing. There is a lot of interior equipment that comes with this car, and combined with a four-wheel-drive system and a 7-speed automatic ‘box, it’s easy to see why it’s priced as it is. Plenty of contemporary advanced technology is on offer, including a DAB digital radio, a 7” touchscreen-operated infotainment system, voice control and satellite navigation. You also get 18” alloy wheels, and a reversing camera as standard. Prices for the new car start out from around £29,500 and rise to just over £33,000. There is only a diesel engine on offer, which is probably unsurprising when you think about who buys a car like this – drivers who want to keep running costs as low as possible. However, fuel economy is a bit hit and miss. You can’t get the car with a manual transmission, and neither can you opt for two-wheel-drive. Four-wheel-drive, then, does impact negatively on running costs. As such, it can achieve returns of around 57.6mpg. These numbers are competitive. BiK, meanwhile, is rated at around 25%. Servicing should be scheduled once each year, but there are limited Infiniti dealerships in Britain at the moment. The ones that are around, though, will collect and redeliver your car after servicing. When it comes to insurance, the car occupies group 23E. If you want to get noticed when you’re out on the road, this is the car to buy. The origami-esque bodywork will divide opinion, but we’d point to the Nissan Juke as a car that can look mighty different and still sell well. This is not a cheap car by any stretch of the imagination, and because it lacks practicality it needed to add value elsewhere. It’s done this with interior equipment, where most of what is offered as standard here comes as optional with its rivals. Thanks to four-wheel-drive which is available as standard, this small family SUV is very accomplished on rougher roads. Potholes will be noticeable, but most lumps and bumps will be well absorbed. As well as no petrol in the engine range, there is also no manual transmission available. Moreover, you can’t choose two-wheel-drive either, but have to make do with four-wheel-drive, which will impact on running costs. If we’re honest, a car such as this should be more practical. Although the boot is okay, if you consider this to be a small SUV, not a hatchback, you will be a tad disappointed by its practicality. If you want to mull over your options, let’s take a look at how the car stacks up against its nearest competitors in the comparison section of our Infiniti QX30 review. 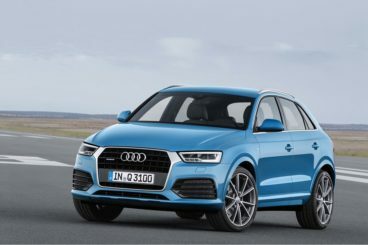 The Audi Q3 is one of the smallest cars in the brand’s Q series. It’s easy to drive, has strong resale values – but the higher trim’s are rather expensive. All engines in the line-up are strong, capable performers, and unlike the Infiniti, there is a lot to choose from. Moreover, you don’t need to settle for four-wheel-drive and can pair up a 1.4-litre turbo petrol engine with 2WD. You also get to choose between a manual or an automatic ‘box, a choice which the QX30 doesn’t grant you. The problem with two-wheel drive, of course, is that you lose a bit of combativeness, and the model won’t be as capable on rougher roads as the Infiniti. The engines, however, offer more performance, with the RS Q3 able to complete the 0-62mph dash in just 4.4 seconds. Running costs are decent across the range if not spectacular. The most economical petrol engine in the range is the 1.4-litre turbo petrol unit, which can achieve respectable returns of around 51.4mpg. The diesel’s, though, offer far better numbers, with the 2.0-litre unit able to achieve returns of 62.8mpg. This is an Audi, so a beautiful, spacious interior was to be expected – and it’s been delivered. While the exterior is safer than the Infiniti’s, it’s still very smart, but it’s really indoors where the design team have excelled. Soft-touch plastics abound, and the cabin is well insulated from exterior noise. It’s pleasingly practical too. A high roofline means lots of space, while big windows offer good visibility and welcome in plenty of light. Storage space is top notch, but the boot can only offer a disappointing 420-litres of space. 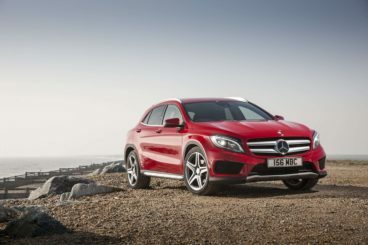 The new Mercedes GLA SUV is more comfortable than entertaining to drive. It’s practical, sports a luxurious interior, and offers a decent amount of standard equipment. Although Mercedes have clearly opted more for comfort than entertainment, that isn’t to say that this isn’t a fun car to drive – it is. It just isn’t as much fun as some others in this class. Unlike the Infiniti, you don’t have to opt for a four-wheel-drive model. In fact, 4WD is only available as standard for the cheapest trim, and it isn’t really necessary unless you’re going to be regularly sweeping across muddy fields. There are diesel and petrol engines to choose from, but the 2.1-litre diesel is a tad too noisy for our liking. You can pair it up with either a manual or an automatic transmission, and performance will be largely unaffected. The engine gets from rest to 62mph in 10.0 seconds. A turbocharged 2.0-litre petrol engine powers the sportiest model in the range. Smooth as silk, it isn’t however especially exciting. Top notch materials adorn the interior, which is quiet and refined. Exterior noise is kept to a minimum, though you will find low-rent plastics if you look hard enough. The rotary dial, meanwhile, is now showing its age. Overall, though, the dash is elegant, and the cabin is hard to fault. Ride quality is also very good, with the soft suspension and the larger tyres doing a grand job of soaking up the worst lumps and bumps. Like the Infiniti, this Mercedes suffers from small side windows which can make you feel a bit boxed in. A lighter coloured trim is optional, and but while it helps to alleviate any feelings of claustrophobia, it will show dirt more easily. Apples and oranges. Access is easy thanks to wide-opening doors, while four adults should be able to travel in comfort. The 481-litre boot has 50-litres more space than the Infiniti’s. The QX30 has a bit of a problem. It’s flush with lots of interior equipment which has bumped its price up, but because of this, it’s now in direct competition with the likes of the Audi Q3 and the Mercedes GLA. This becomes an issue when you consider how much more practical those cars are. 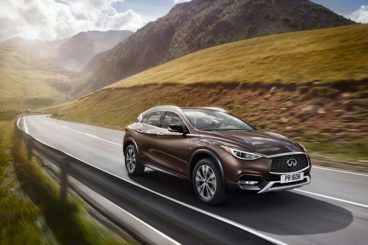 However, the Infiniti QX30 is an interesting proposition in its own right; it sports an eye-catching look that sets it apart from the competition, a top quality interior and a very performative engine. Get in touch with a Vehicle Specialist Today!